Alexey Andreevich Lyapunov, corresponding member of AS USSR (1911-1973), is an outstanding mathematician and teacher, one of the founders of national cybernetics, biomathematics, and mathematical linguistics. A.A.Lyapunov has given more than forty years of his life working in national science. There was only a single break, when during the Great Patriotic war he went to fight as a volunteer and passed the way of fights as the artillery officer from Crimea to East Prussia. The spectrum of scientific interests of Alexey Andreevich Lyapunov was so wide that he really deserves the title of encyclopedic range scientist. He oriented himself with respect to different fields of science and also worked successfully in many of them. A.A.Lyapunov takes a special place in the history of Russian science. Main works of A.A.Lyapunov belong to pure mathematics, but they also cover its applied and computing fields, its applications to natural and to humanitarian science (biology, geophysics, astronomy, linguistics, etc. ), philosophical problems of natural sciences and urgent problems of pedagogy. In early 1950s, he was the first in the USSR to organize an interdisciplinary seminar in cybernetics, and he prepared the world-famous collection issues "Problems of cybernetics" for the publication. 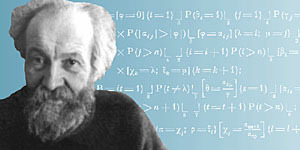 "During a short time period, the attitude with respect to cybernetics passed through the following phases: categorical denying; ascertaining of the existence; the recognition of usefulness, the freedom from any problems for mathematicians, the recognition of certain mathematical problematics; the full recognition of mathematical problematics of cybernetics", A.A.Lyapunov wrote. The Siberian life period of A.A.Lyapunov (1962-1973) was one of his most fruitful periods. 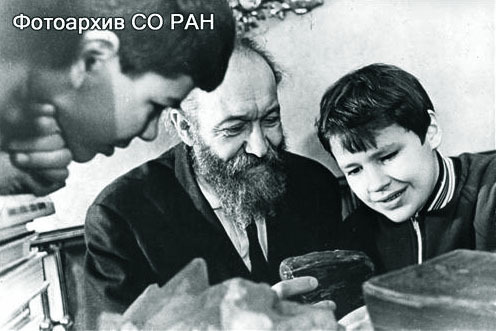 In 1960, academicians M.A.Lavrentyev and S.L.Sobolev invited A.A.Lyapunov to move to Novosibirsk where the Siberian Branch of the USSR Academy of sciences had been created several years before. Alexey Andreevich accepted the offer with enthusiasm, as he understood at once that it would open up great opportunities to expand works in cybernetics and to perform pedagogical experiments at all levels of youth education from preschool up to the university. 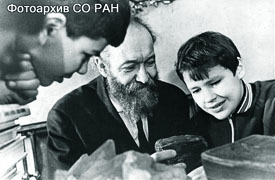 Within 12 years that he lived in Akademgorodok, Alexey Andreevich was able to put into practice many of his scientific and pedagogical plans. There, in the Siberian Branch of the Academy of sciences, in a new science centre, he played the crucial part in creating cybernetic collectives and development of system research. Due to A.A.Lyapunov, the Novosibirsk Akademgorodok becomes in 1960s the main cybernetic centre in the country. A.A.Lyapunov was a bright teacher and propagandist of scientific knowledge. He was one of the initiators to create in 1962 the country-first physical and mathematical boarding school at the Novosibirsk University; he was the first Chairman of its Academic Council and its active lecturer. He was also among the organizers of All-Siberia mathematical Olympiads and summer schools in physics and mathematics in Akademgorodok. In 1964, A.A.Lyapunov was elected the corresponding member of AS USSR in the branch of mathematics. Scientific, pedagogical, and organizing merits of A.A.Lyapunov have been pointed out with government awards. He was awarded with Lenin Order, two Orders of Labour Red Banner, and "Honour Badge" Order. One of the streets in the Novosibirsk Akademgorodok was called after him. * Sources: 1) Alyeksyei Andryeyevich Lyapunov / Rossiiskaya Akadyemiya nauk; sost. R.I.Kuz'myenko i N.A.Lyapunova. - M.: Nauka, 1996. - (Matyerialy k biobibliografii uchyenykh. Syer. matyematichyeskikh nauk; Vyp.19). - S.8-15. 2) Fyet YA. Nyeistovoye tvorchyestvo / Fyet YA., Molorodov YU., SHpak G. // Nauka v Sibiri. - 2001. - N 38. - S.2. Updated: Wed Feb 27 14:46:36 2019. Size: 9,984 bytes.